Grease bottom only of 3 1/2- to 4-quart round slow-cooker with shortening or cooking spray. Sprinkle lightly with 2 teaspoons of the Bisquick™ mix. In large bowl, stir bananas, granulated sugar, 1/3 cup melted butter, 2 tablespoons bourbon, the vanilla and eggs until well blended. 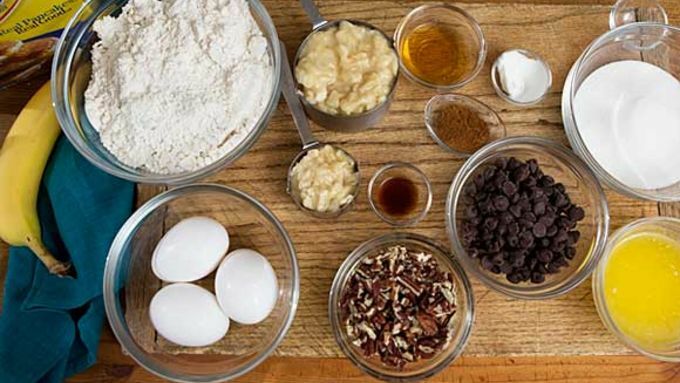 Stir in remaining Bisquick™ mix, the cinnamon, chocolate chips and 1/2 cup of the pecans until well blended. Pour into slow cooker. Cover; cook on High heat setting 1 hour 30 minutes to 2 hours or until toothpick inserted in center of loaf comes out clean. 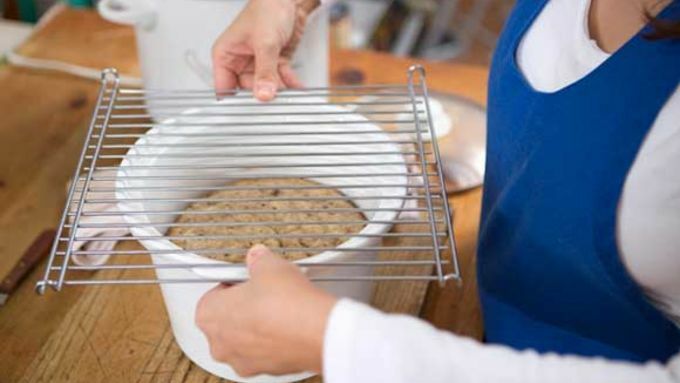 Turn off slow-cooker; uncover, and remove ceramic base from cooker to cooling rack. Let cool 15 minutes. Loosen edge of bread with thin metal spatula. 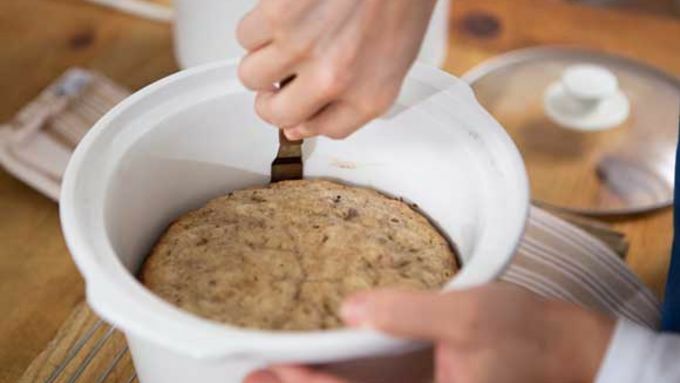 Remove bread from slow cooker to cooling rack. Cool 1 hour. 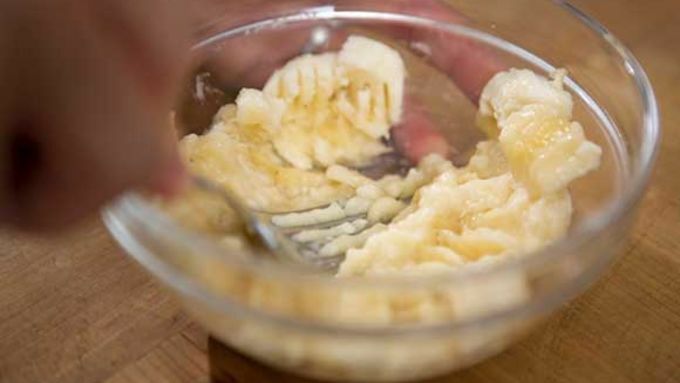 In small bowl, mix glaze ingredients until smooth and consistency of thick syrup. Drizzle over top of bread. Sprinkle evenly with remaining 1/4 cup pecans. Give every day a better beginning - that’s the simple idea behind Start Happy. Join our movement to take back breakfast and say hello to a happier you! Sometimes banana bread can be like a relationship. While you definitely are in it to win it, it can get a little … meh. So why not add a little spice to get it back to nice? 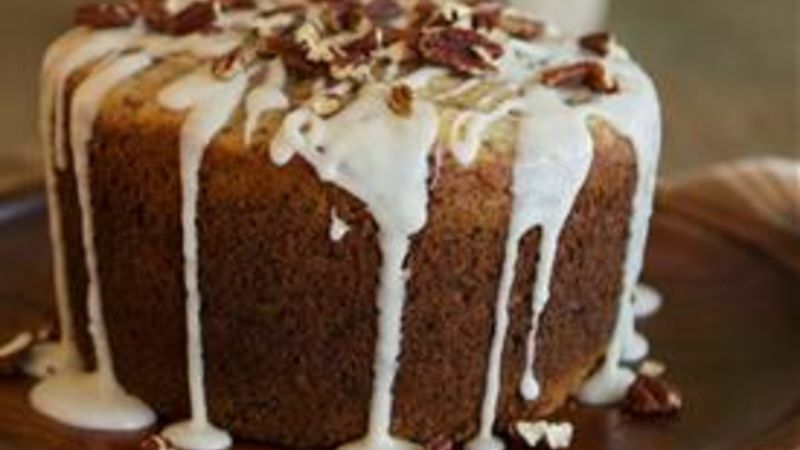 We took the average recipe and spiked it with the flavors of bourbon, semisweet chocolate and toasted pecans. But the real surprise? It’s baked in your slow cooker. Really!